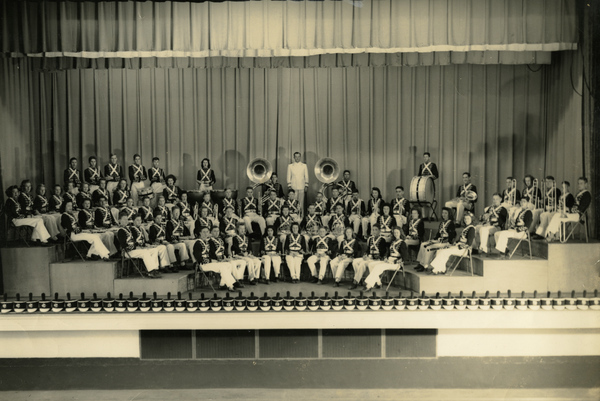 The Leon High School Band has been the example of history and tradition since the program began in 1940. Being the oldest high school in Tallahassee, the Marching Redcoats have been involved with nearly every aspect of Tallahassee. The band has participated in numerous city, state and national parades. Additionally, they have participated in festivals, conferences and been at the forefront of musical expertise decades. As of this past year the Leon Band has earned 67 consecutive superior ratings at Marching MPA. Moreover, they have consistently earned Superior Ratings at Concert MPA since the 1950s. Leon High School Band students are very proud of their history and the legacy of the band program. They are determined to continue to their success each and every year in hopes of making the program even better than the year before. 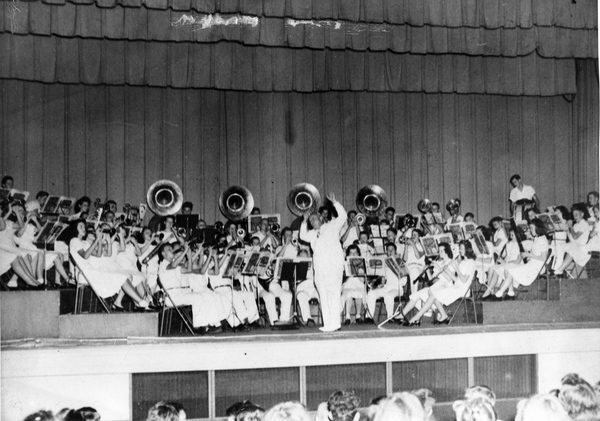 Henry Fillmore conducts Leon HS during a Performance in Tallahassee.